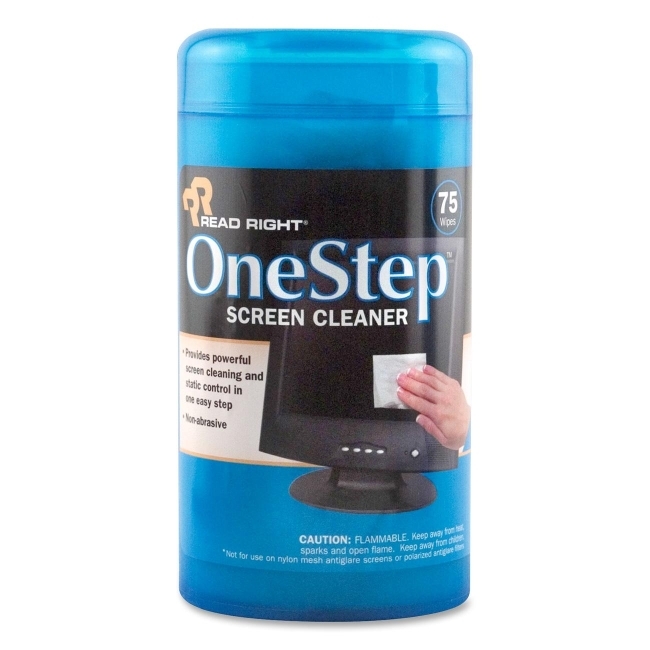 Ultra-thin, screen cleaning wipes are presaturated with special nonstreaking, antistatic solution that works quickly, evaporating in seconds. Use on micro computer CRT screens, VDT and television displays, instrument glass and micro graphics screens. Wipes are not for use on nylon mesh/polarized antiglare screens. Wipes come in a convenient tub dispenser.